We provide a wide range of services that enable our patients to live independently at home and we are one of the nation’s leading home health care services companies. 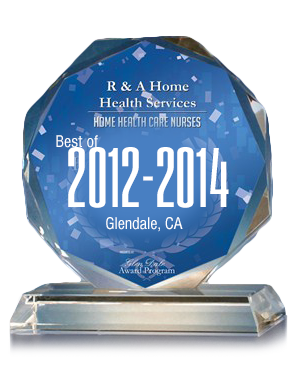 Established in 2003, and approved by JCAHO, NGS and CMS, we have gained valuable experience providing home health care: assessing needs, developing a care plan, providing professional assistance, identifying the products and services required to implement the care plan, and delivery of quality care over time. For aging adults, living at home is an important part of their quality of life; however, doing so independently presents challenges in life's later years. For family members, balancing care for loved ones with their own needs poses a unique set of difficulties. 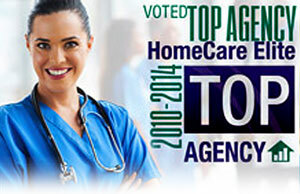 That is when we shine; we provide home health solutions and services, wherever home may be. Our trained specialists create and implement a comprehensive plan of care that empowers our patients to live independently at home and brings peace of mind to their loved ones. Our integrated administrative system significantly reduces paperwork at our Care Centers, thus resulting in more time devoted to personally servicing the needs of our clients. The innovative process includes an integrated scheduling, billing and payroll program, a highly personalized client inquiry and intake processes, and encrypted computerized tracking and monitoring systems. These proprietary tools enable our staff to increase ongoing contact with our clients and ensure that care plans are up-to-date. In the home, a dedicated team of trained professionals support our clients - enabling these individuals to maintain their independence. Our nurses and our Care Partners - provide assistance with activities of daily living such as bathing, dressing, going to the toilet, and moving throughout the house. All-in-all we coordinate a care initiative that is like a well balanced orchestra of health professionals with only our patients’ health in mind.